We have this weird thing in the church. While confession of sin and admission of our brokenness is a core theological concept, somehow our pastors are not allowed to remain broken. We want our pastors to be fully whole and fully human. What’s weird is that Jesus alone was fully human and fully divine, and sometimes we project this onto our pastors. Of course we don’t mean to infer that our pastors are divine or God-like, yet we want them to be pretty close. We still look to pastors to shepherd us, inspire us, and role model a Christ-like life. In short, we pretty much want our pastors to be perfect. I’ll be the first one to say that I hold my pastors to a high standard. In some sense, I want her to be better than me. I want to learn from her and to see Christ in her. Yet somehow these hopes we have for our pastors translate into expectations that a pastor be whole and not broken. Which basically means that we have unrealistic expectations that can not be met because pastors are fully human and broken people. This topic hits very close to home. I served as a local church pastor for almost a decade. And I can tell you that I struggled with my humanness. 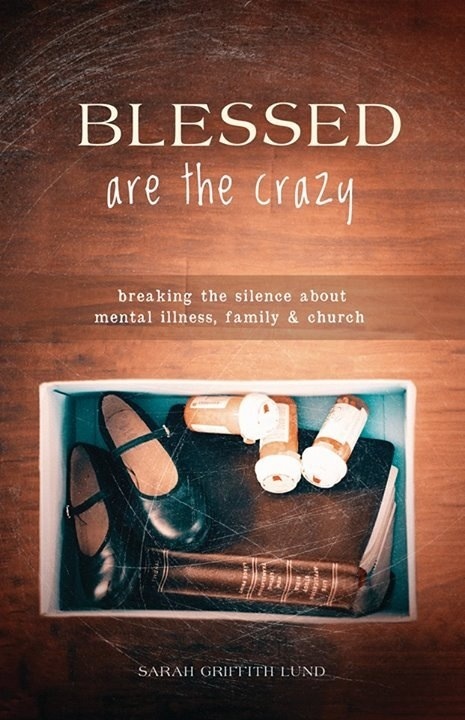 I also struggled with the brokenness of my family in the face of severe mental illness. Suicide attempts, anxiety attacks, chronic depression and hospitalization all were part of my family life while a pastor, yet this very human part of myself I did not feel safe sharing with the church. I did not want them to see that as a pastor, my life was broken. I was not pastor perfect. In sharing my testimony about mental illness, family and church, I’m meeting other pastors who also feel shame about being broken, being fully human. And this shame cloaks them in silence and isolation. So that what ends up happening is that churches are led by pastors who work hard to try to meet unrealistic expectations of wholeness and perfection. And everyone ends up frustrated and worse. We end up unknown and alone. We end up not revealing our identity as broken and loved children of God. We end up fracturing the beloved community instead of building it. What would happen if pastors were allowed to not be perfect? What if pastors didn’t have to hide that fact that they live with mental health diagnosis or are in recovery from addictions? What could we learn from a pastor who is openly broken and on the road with us to wholeness and recovery? What might this new-found freedom let loose in the church look like? I know people with mental illness and addictions who are in treatment and recovery and who are amazing pastors. And it’s when their brokenness is exposed to the light that healing comes. Let’s break the silence about mental illness, pastors and the myth of perfection. Sigh… as a broken pastor myself… somehow these words have left me feeling even more alone. Because they are true. I’m in in the midst of a very dark personal time. Trusting God but not with my heart. Trusting that God has allowed the trials and tragedies of this past 2 years and that He has a purpose for it. But not trusting God to not allow my heart to be so shattered again. I’m afraid to dream to move forward. AND YET… those I am called to shepherd desire to see a pastor who has faith unshakable, a pastor who overcomes and even has a shining new testimony being formed out of this. They don’t want tears. They want joy. They want me to be strong for them in their own trials and tragedies; believing that I cannot be that for them if I am struggling. I don’t share these words in hopelessness. Just truth of where my soul currently is. I’m praying and writing and listening and arguing and hoping. I am grieving and believing. Begging and believing. Thank you for a safe place to just share these words.